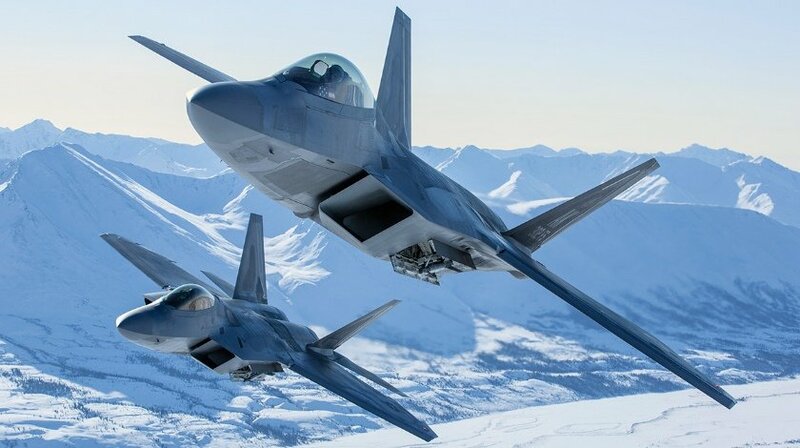 Indian Air Force needs 42 Squadrons of it sanctioned fighter jet fleet to keep itself fighting fit for possible Two front war with China and Pakistan, But Question still remains what percentage of this fighter jets will be based on 5th Generation fighter jets? , Well IAF could love to have a fleet of a 5th generation all making up required 42 squadrons but that is simply not possible due to various reasons but many Defence Analysts will confirm that there is an Internal mechanism in place which decides what percentage of jets IAF will maintain. Informal Rule has been that 30% of the jets will be of Advanced and Frontline jets while 40% will be Upgraded yet modern Fighter jets and lower tier will make up 30 % which comprises of older and obsolete jets if same logic is adopted for future IAF then IAF will require at least 30% of 5th generation and 40% of 4.5++ Generation fighters and another 30% of 4++ Generation aircraft. 30% of the 5th Generation fighter jet means nearly 225 fighter jets will be needed and when FGFA was first proposed to India, IAF had put a requirement for nearly 250 jets which was right above 30% mark which IAF wanted to keep for a 5th generation fighter jet in its fleet but when India’s AMCA 5th Generation program was accepted by Government and IAF was asked to issues Air Staff Requirement (ASR) it had become clear to IAF that development of AMCA will be pursued in future and IAF later dropped FGFA requirement to 114 units which make up 15% of the 5th generation fighter what IAF wanted and AMCA could take up rest of the 15% . So it quite clear now that while 5th Generation fighter requirement is just around 225-250, IAF is ok to have two different fighter jets for the initial period which might expand in future to replace the Second tier 40% while older jets will be further pushed to the last tier post-2050 timeline. Fallout plans for FGFA ??? IAF is perfectly aware that it will require two separate 5th generation fighter jets initially to make up top tier which will later be also used to replace the second tier in long run for that cheaper AMCA and Expensive FGFA was planned but due to key differences between India and Russia on the technology offered and work share agreements, FGFA Project has failed to make any inroad than the agreed initial agreement signed 7 years ago . Contginguecny fallout plan for a failed deal on FGFA with Russia is nothing but a hogwash, Since there is no backup project and it means IAF and Government will eventually purchase American F-35 once F-16 deal is concluded or will accept AMCA fighter jets has it’s only 5th generation fighter jets in its fleet, which is highly unlikely due to various factors . If not Russia then who? Certainly not Americans with F-35 which is already a developed product which will come with No Transfer of technology and at best will come with Make in India for the assembly work which Americans might grant us if we place orders for their older F-16s and Only 5th generation fighter jet program other than that of American, Chinese and Russian is India if joins Japan’s Mitsubishi X-2 Shinshin Project or Turkey’s TAI TFX Project . India joining Turkey’s TAI TFX Project is not possible due to Trukeys close links with Islamabad and reports also hints that Pakistan might join Turkey’s TAI TFX Project as partner which leaves Japan has only other option for India but looking at Japan’s lack of willingness to sell India its military products and also due to its restrict internal export control regime it can also be ruled out . France and Germany proposed 5th generation fighter jet program makes more sense than joining other 5th generation fighter jet program initiated by other countries around the world and both BAE, Dassault and Airbus who are likely to be associated with this project soon have expressed their desires to work with India in the development of AMCA or Tejas MKII . Proposed European 5th generation fighter is the only Project which will welcome India’s request to become a founder partner country and project is more stable than Russia’s Pak-Fa program since both French and German air forces will have good initial order number for new fighter unlike in Russia where only dozen Pak-fa fighters were ordered for evaluation purpose only and entire orders could have come from India . Unlike FGFA Program, European 5th generation fighter is clearly a low-risk program and India will get the technology which we have paid for or want in the new 5th generation fighter. We Will also have Stable Partners who will also buy new jets in large qualities and the new fighter will emerge as an alternative to F-35 which might lead to small but lucrative alternative F-35 market which both China and Russia are planning to target but at present don’t have desired product to complete.